Children from John Perry Primary School joined environmental charity Trees for Cities in marking the launch of a new tree-planting project. A total of 9 trees will take root across Barking & Dagenham, helping to make its streets healthier and greener. Each location and species of tree has been carefully chosen to bring maximum benefit to residents. The new trees will add character and colour to the local environment, and raise air quality for old and young alike. On Thursday, 6 local primary school children were joined by Deputy Leader of Barking & Dagenham Council, Cllr Saima Ashraf to help plant a community tree on Rainham Road South. The kids were supplied with gloves and a trowel, and were also given a talk on science, pollution mitigation and looking after the planet. 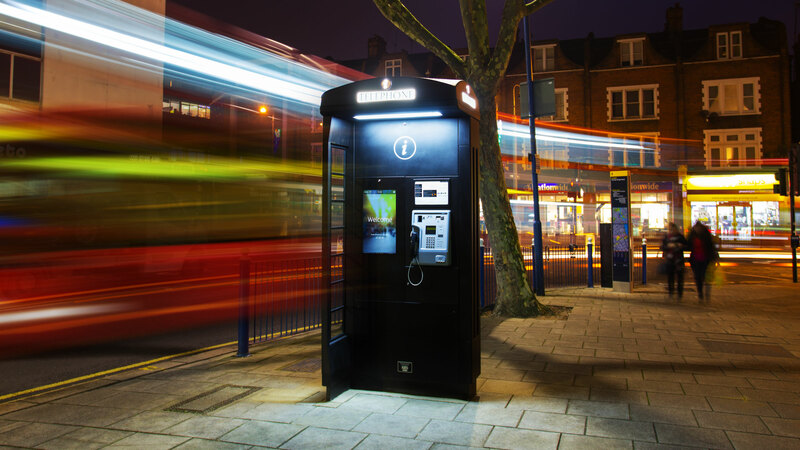 The project is part of a UK-wide initiative, developed by Trees for Cities in partnership with New World Payphones. New World Payphones is replacing ageing phone boxes with touch-screen booths that combine Wi-Fi, interactive maps and payphone services. For every phone box upgraded, a new tree will be planted, with a nationwide total of up to 1,000. Trees for Cities will maintain the trees for 3 years before training staff at New World Payphones, who will then take over their care. This planting season – running till the end of March – the project will include a total of 14 London boroughs, with a minimum of 150 trees scheduled for planting across the capital.